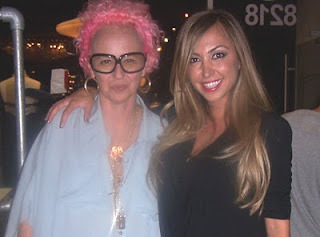 PETRO ZILLIA: Fashion Night Out!!! October 10th was a special night,in Los Angeles. Fashion Night Out was put together by our Mayor Antonio Villaraigosa,to show love and support for our local retail stores and the designers that support us! A night of glamour, fashion, and fun!!! What better place,than Los Angeles!All over the city, stores were asked to represent, for our fair city! When we were called upon,we not only answered, we answered the hell out of it! We planned the event to end all events (Until our next one! We're awesome like that!lol) You name it, it went down! !You like yummy snacks? We had an amazing caterer filling your tummy with all kinds of delectable! You like to sip on a friendly cocktail,while you mingle amongst celebrities? (I'll get to them,in a moment!) We had a cutee bartender servin em up,all night long! 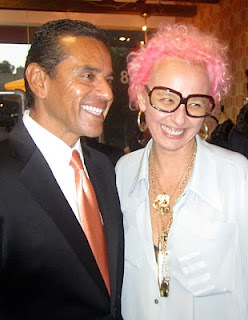 So you were locked an loaded to work the room with the likes of Mayor Villaraigosa and his daughter Natalia! 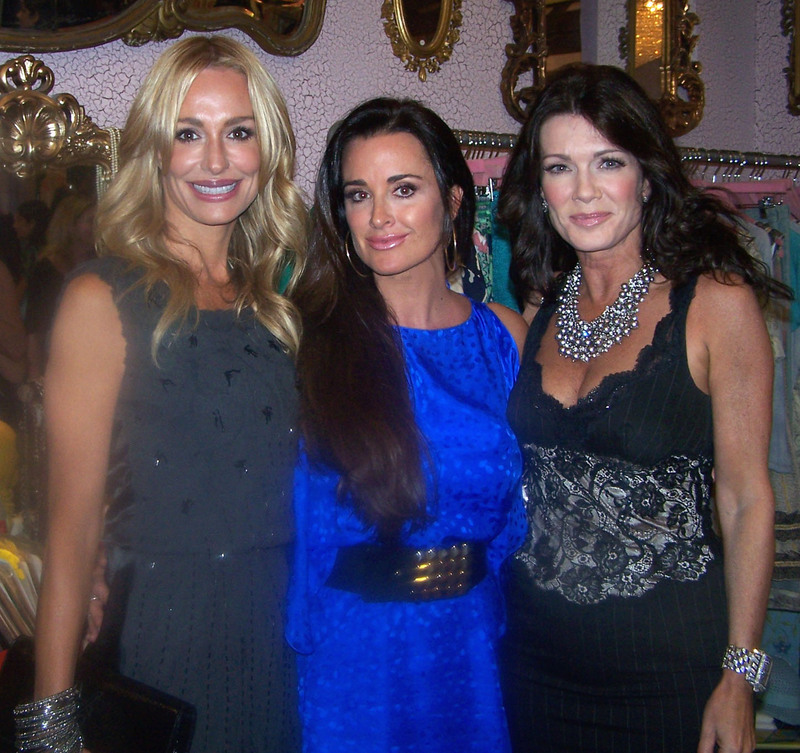 The Real Housewives of Beverly Hills, Kyle Richards, Lisa Vanderpump, and Taylor Armstrong were on deck! A handful of our favorite designers were representin, like Fernanda Carneiro, Emily Harteau and Michelle Chaplin of Smoke and Mirrors, and Michelle Monroe! Mena Suvari made an appearance, as did Samaire Armstrong and Kendra Krull, of Radio Attractive! And we were lucky enough to have the lovely an talented Constance Zimmer party down with us,until the wee hours! I know what you're thinkin...there's somethin missing...But don't you worry,we covered all our bases! We had a magical trunk show for Report Signature shoes! SOoooo yummy! It was a perfect evening, and rumour has it (not really,it was in print, so it makes it true!) we made it into one of the Top 14 parties in the city! Toot! TooT! Juliette Lewis is the Homey! Michina Koide Just Blew My Mind!!! Report Signature Bringin the Heat This Spring!! !